I spent my weekend down in Bristol at the Association Européenne des Illustrateurs Medicaux et Scientifiques (AEIMS) Congress 2015. The congress was hosted by the founder of Limbs and Things, Margot Cooper. I had a truly wonderful weekend learning from some of the successful artists within the field of Medical and Forensic Art. 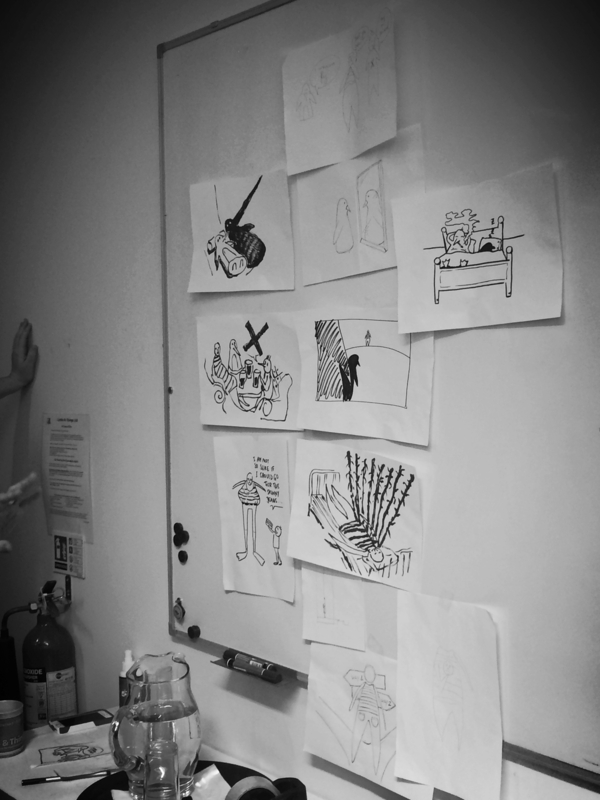 I learned a lot from the Visual Storytelling in Healthcare workshop. It opened my eyes to different ways to construct a graphic medicine comic, and different ways of working with narrative and the display of images - I am sure this will become very useful at work! It was also just great fun. How do you find clients? How to you communicate with your clients effectively? Should I do a freelance project for less money than I should charge if I am in need of money? How do you deal with a situation where you feel your copyright has been breached? How can you work from home effectively without getting distracted? How do you do you your taxes? So many questions! So many useful answers, I am very grateful for the advice of others in this field. This was so informative... I will never make the mistakes discussed in this workshop, lest I be shamed in a presentation! 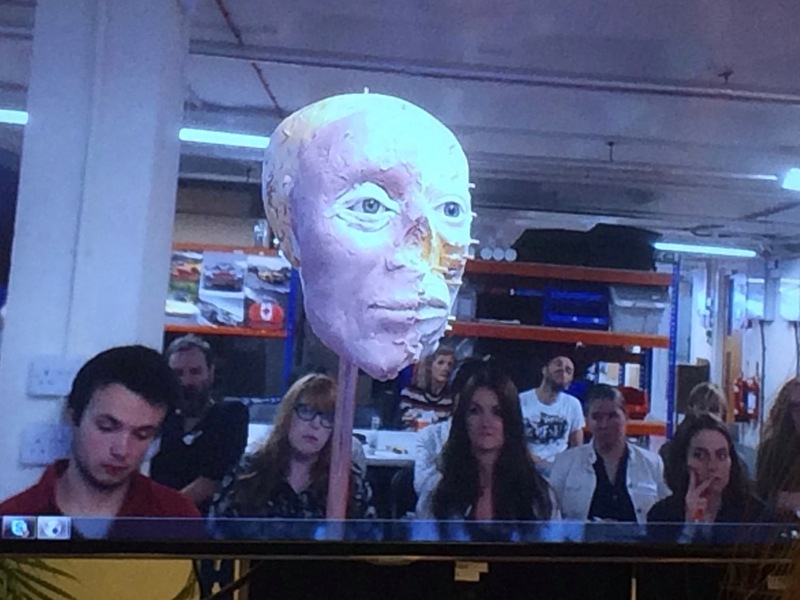 3D workshop with Masters of Head Sculpture was taken by Richard Neeve and Anne-Marie Riedinger. 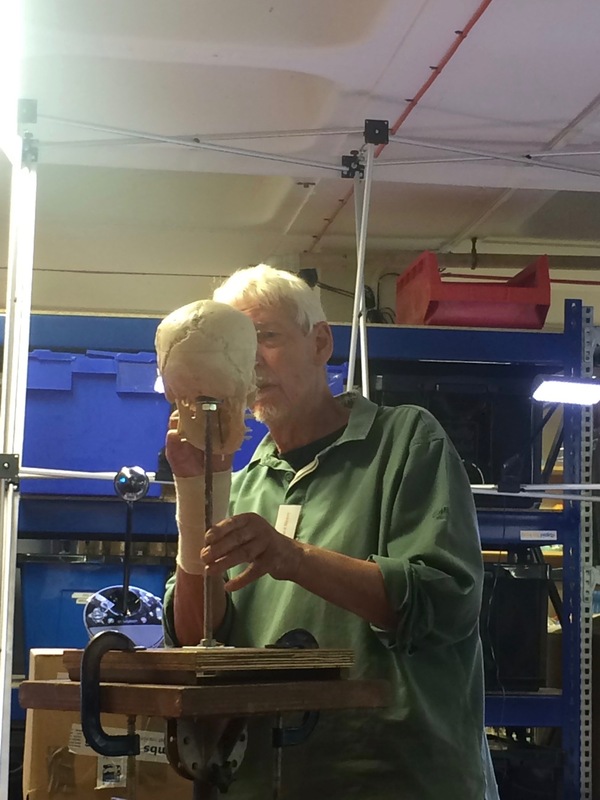 "Anne-Marie is renowned for her beautiful cranial prosthesis, and Richard is famous for his pioneering work in forensic art facial reconstruction"
I was very excited for this workshop as I have admired the work of Richard Neeve for quite some time. It was a privilege to see him sculpt. Anne-Marie's prosthetics are very realistic, it was interesting to understand a the process of creating a prosthetic eye for an empty socket. I chose to the 'Capturing light in Pen and Ink' workshop for some chill out time at the end of the second day... its funny how easy it is to forget basic things when it drawing from still-life! It has definately inspired me to try and sketch more from life - I picked up some good tips for capturing scenes quickly. All in all... It was a great weekend, I met some very interesting people and met up with some old friends. I can't wait for next year!